Did you know I make a web series with some other women called Drunk Feminist Films? If you follow me on Twitter you probably know, because I tweet about it OFTEN and WITH GUSTO. But I haven’t really announced it in this corner of the internet, so boom: Drunk Feminist Films, it’s a thing. It all started when Gillian G. was struck with a brilliant idea: have a few feminist pals over, watch Twilight and play a feminist-flavoured drinking game (you can find the rules here). I really couldn’t envision a non-amazing way of combining those ingredients, so over to her house I went, along with Amy Wood and Shaunna. After the game was well underway, we couldn’t help but notice a high concentration of zingers flying around the room. On a whim, we thought “maybe we should try this with cameras sometime”. And in that moment, #DFFilms was born. If you watch mainstream movies, you’re probably aware that representation of women in Hollywood is kind of abysmal. Women characters who actually do things in the story are often non-existent – they’re more like props whose mere presence helps male characters self-actualize. When they do get to do stuff, their characters are often poorly fleshed out cardboard, which surprisingly isn’t that easy to relate to. 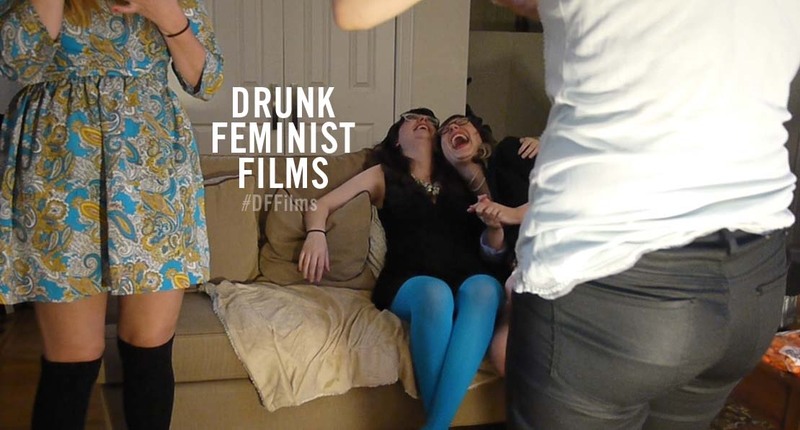 Drunk Feminist Films is about throwing up your hands and laughing your way through that gauntlet, rather than crying. It’s not really necessary to drink – though we find it dulls our Feminist Sads and ramps up the Feminist Laffs a bit, that doesn’t work for everyone. The important thing is to sit around and crack snarky jokes, amirite? We have a YouTube channel and a Tumblr that you should follow if you like the idea of four women playing feminist drinking games while watching movies and TV shows including (so far) Game of Thrones, Twilight, She’s All That and most recently A League of Their Own. Last week we hosted a live screening of 21st century classic, Mean Girls, at Academy of the Impossible, to some pretty grool results. Have any suggestions for movies we should watch next? Let me know in the comments!